Our range of products include ss multistage pumps. We are one of the topmost manufacturers, suppliers, and exporters of high quality of SS Multistage Pumps, These products are manufactured from finest quality stainless steels that are sourced from reliable vendors. These vendors are associated with us over a long period of time. 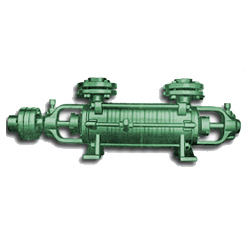 These pumps are force pumps that are used for supplying water to a steam boiler. These products are essentials components of waste water treatment plants. These pumps are known for durability, reliability, hassle free performance, low noise, and easy installations.